We're getting more and more people visit us reguarly, more people are linking to us from their own blogs, and the quality of posts seems to be getting back on track. I'm going to spend more time working on JAM. There's a possibility of moving over to Wordpress, so you might get to take a peek at my attempts at CSS. It's lush. And I want it. 4) The usual cut down drinking, smoking, swearing, etc. Probly not gonna happen. Might as well concentrate on the first three. 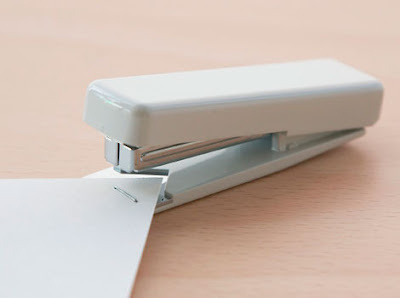 It's strange how the simplest things can become incredibly irritating, stapling for one, why cant people grasp it? Well this lovely stapler design helps ease the pain away. And also makes all of your stapled pages identical, be it corner or horizontical.... a nice thought i know you'll agree! I get obsessed with a few things every now n again... At the moment, it's with collecting. Stickers, postcards, and branded beer glasses are the current fetish. I love them. The laptop I'm posting this on is covered with the contents of Sticker Bomb! A while back, it was measuring every rectangle in sight; to see how many were governed by the Golden Ratio, or Phi. Anyway. There's one t.v show I have a slight obsession with, and that's Mythbusters. I love it. 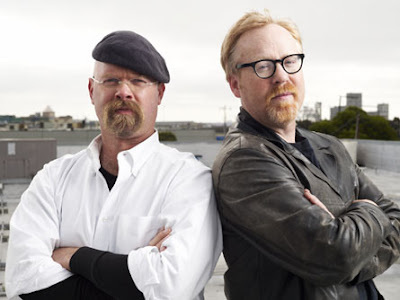 The two presenters (Adam Savage and Jamie Hyneman) have both led awesomely interesting lives. Read a bit here. Here is Adam talking about his obsessions. Winner. 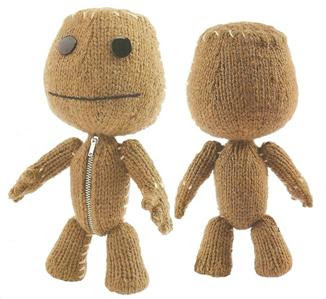 A pretty interesting find here (courtessey of Ian) in issue 49 of Simply Knitting (stay with me please) there is a knitting pattern to create your own sackboy from the ps3 game littlebigplanet. All i need to find now is how he found out (secret Knitter) and someone who can knit. 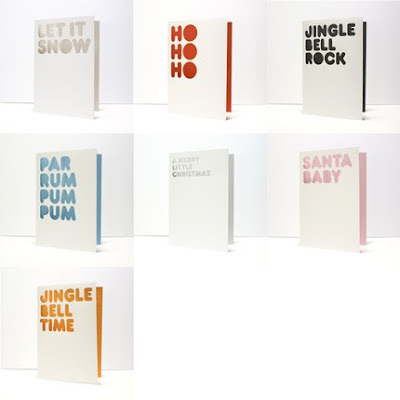 Pocket studio have got some nice christmas cards for sale on the etsy website. Part of a typographic Christmas series. These lovely crisp white cards have a festive message cut out of the front to reveal the splash of colour inside. 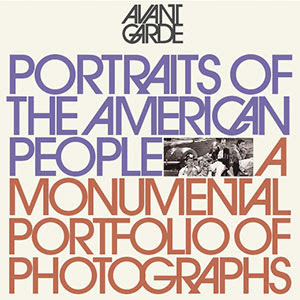 The classic grid. 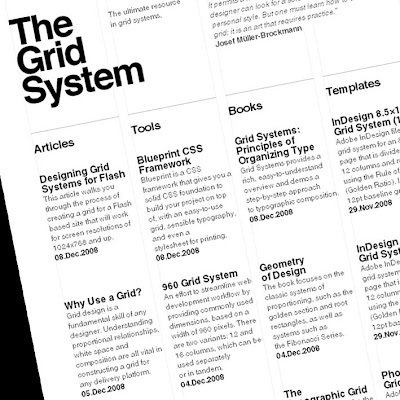 "the foundation of any solid design"
A nice website to look at, and lots of cool links. Created by Antonio Carusone, graphic designer and author of the design and typography blog AisleOne. A few templates too, might be worth a butchers. Recently our company unsubscribed from istock, so myself and mark created our own accounts and decided to add any pieces that we've taken istock images from to the designer spotlight. 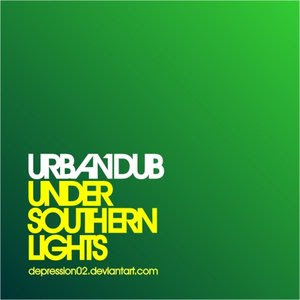 As it earns you more credits. 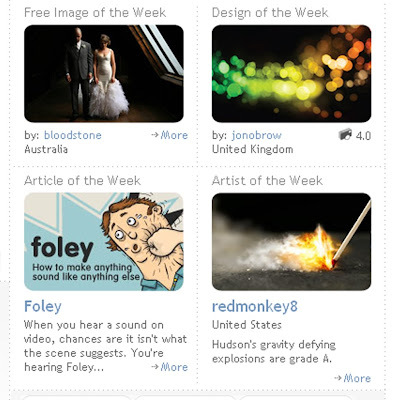 I added a piece just to gain extra credits and somehow managed to be featured in design of the week. The fanboy comments are quite amusing.